Story picks from wattpad and more…. Hello guys! 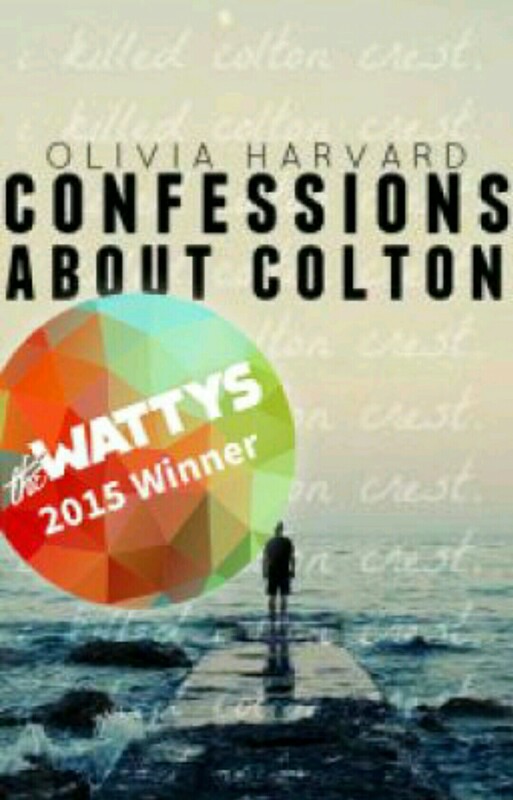 For this month, my pick is, ‘Confessions about Colton’, which is a thriller story. This story is one of the few mystery stories that kept me in the edge of the seat, from the start to the time I completed it. The story opens up right in the middle of the strange plot, where Elliott Parker grieves for the death of his best friend, Colton. There was always a lot of mystery surrounding Colton, like the time he disappeared some time back and no one could find out where he was, but he came back without giving so much as an explanation. But this time, he was gone, for good. During the memorial service for his friend, Elliott gets a letter from the murderer of Colton, stating the reason for his murder will be revealed if he would follow some things he mentioned in the letter and search for the next clue to the letter. Elliott was, at first, doubtful to take it up or not, but his curiosity to know the reason for his friend’s death got the better of him and he started searching for clues and soon one led to an other, and he was baffled by the things he started learning about Colton, that, at one point, he felt like he never knew anything about his best friend. The things which were revealed by the clues, exposed a different side of his friend and also some details about what he did during his first disappearance. And in comes Colton’s girlfriend and Elliott’s sister into the plot and the mystery kept growing till the very end. The climax was the most powerful one of all. The twist in the end was just so unexpected and the plot was handled well. My guest post on Hamline University’s blog! I actually liked this book. And I hate most Wattpad books, but that one was good. I was really enjoying this one but the author was really irregular with her updates so I lost touch. Seeing this review makes me wanna read now though. Well I’m definitely going to try it. Yeahhh! It almost seemed like a movie! The trailer was pretty good, too, and so was the media. It played out like an awesome movie in my head when I was reading it 😀 For a 16 year old, she sure is talented. This blog contains the reviews of wattpad stories for people who are in the nascent stages of using wattpad and also for those who wants a suggestion to pick out a story to entertain yourself. Feel free to suggest 'picks' to review!